Been listening to them since I was 13 and I'm now 37 . I love them and now my 3 kids love them to. This really is a great album . 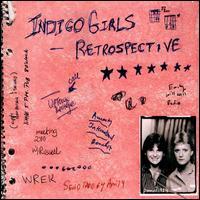 Most people do not know the Indigo Girls. The are a duo out of Athens, Ga. They sing about a lot of human issues and the environment. They make wonderful feel good music that you cannot help but sing along with. This album is kind of a greatest hits album. It has a lot of their older music that is really great. I love the tracks Closer to fine, Shame on you, and the Power of two. The whole album is really fantastic though. If you have never heard them you should look them up. You can go here and listen to samples of the songs on the album.